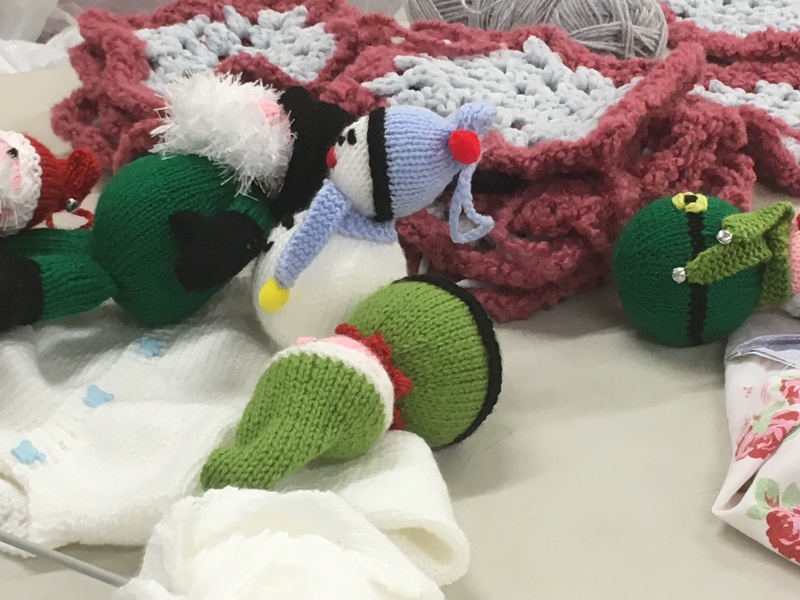 The Horle y ‘Knit and Stitch’ group has now been meeting for almost two years and in that time a number of crafts have been pursued, which resulted in cosy, Finnish slipper socks, sweaters, cardigans, crochet work and patchwork quilting. Our main project currently is the refurbishment of the three 40+-year-old kneelers, which are used in front of the main altar in our village church. Two are being worked on and the third is yet to be started. The tapestry wool we use is very expensive and we are asking for small donations in order to buy more wool; any such would be greatly appreciated. Why don’t you come along, bring your own work and join us? All skill levels from beginners to experts enjoy a pleasant evening where tips and practical help are exchanged. We meet in the Old School on the second and fourth Thursdays of each month from 7pm to 9pm. There is a small charge of £2, which goes towards hiring the room, but if there are any young, school students who’d like to come along then there will be no charge. For further details ring Sue Patching on 01295 730039. This entry was posted in Activities, Posts by Horley Views and tagged Knit and Stitch, The Old School on February 18, 2018 by thehorleyviews. As there is a referendum vote being held in the Old School this Thursday, this week’s ‘Knit and Stitch’ Group meeting is cancelled. There will then be a summer break before the next one. This entry was posted in Villagers and tagged knit, Knit and Stitch, The Old School on June 21, 2016 by thehorleyviews. This will be the last meeting before breaking for the summer. This entry was posted in Activities and tagged Knit and Stitch, The Old School on June 8, 2016 by thehorleyviews. Next meeting is on Thursday April 28th. As there is a Parish Council Meeting being held in the Old School this Thursday (April 14th), this week’s ‘Knit and Stich’ Group meeting is cancelled. This entry was posted in Villagers and tagged knit, Knit and Stitch, The Old School on April 10, 2016 by thehorleyviews.